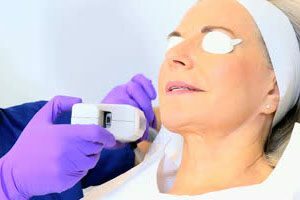 A growing number of laser treatment injury lawsuits are being filed on behalf of individuals who suffered burns and other serious complications during laser eye surgeries, laser hair removal and other cosmetic procedures. Cosmetic laser surgery side effects can result in permanent and disfiguring injuries, especially when the procedures are performed by non-physicians, particularly outside of a traditional medical setting. To learn more about the legal options available to victims of cosmetic laser surgery injuries, please contact Alonso Krangle LLP today to schedule your free legal review. Because of lax regulation and growing demand, more and more laser hair removal procedures, laser eye surgeries and laser “rejuvenations” are being performed in non-medical settings, such as day spas and similar facilities. What’s more, an alarming number of cosmetic laser procedures are not performed by a doctor. In many cases, the non-medical personnel may not even be subject to physician supervision during treatments. If these procedures are not performed by well-trained professionals, patients run a risk of sustaining a severe laser eye injury, or even painful and disfiguring laser hair removal side effects. According to a study published in JAMA Dermatology in October 2013, some 175 cosmetic laser surgery injury lawsuits were filed in U.S. courts between 1999 and 2012. Of these, 75 of the procedures were performed by non-medical personnel. Since 2008, the number of lawsuits involving treatment by practitioners other than doctors has risen from about 36 percent, and involved nearly 78 percent of all lawsuits in 2011. Sixty-four percent of the total cases, and roughly 80 percent of the cases from 2008 to 2012 were performed in spas and other non-medical facilities. The study also found that laser hair removal side effects resulted in the most lawsuits naming non-doctors. That was followed by rejuvenation, which involves intense pulses of light on the face. Injuries from laser treatments for scars and leg veins were also frequently the subject of lawsuits. The authors of the study pointed out that the number of laser treatment injury lawsuits detailed in their report may represent only a fraction of the actual number of cases. They surmised that a large number of laser injury cases may be settled before claims are filed, or may never even make it to litigation. If you or someone you care about suffered cosmetic laser injuries, you may want to consider filing your own laser treatment injury lawsuit. To learn more about the legal options available to you, please contact the defective medical device attorneys at Alonso Krangle LLP today by filling out our online form or calling us.